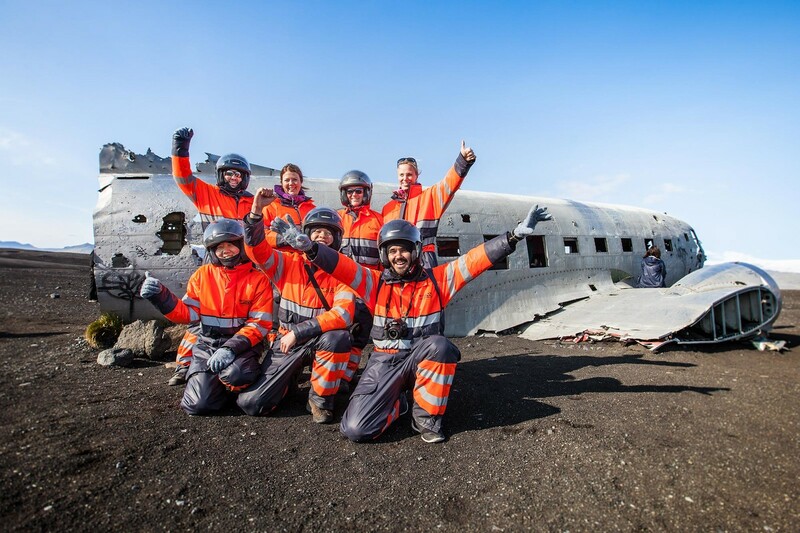 Ride on an iconic black sand beach and visit the Sólheimasandur plane wreck. Operated by our partners at Arcanum Glacier Tours. After meeting your guide at the Arcanum base camp, your adventure begins. You’ll get geared up and receive a safety briefing before getting on your quad bike. As the guide leads the group down the coastline on the black sand beach, you will have stunning views of the ocean and Dyrhólaey, the southernmost tip of the country, and Mýrdalsjökull glacier. This truly off-roading experience leads you across small rivers to the famous Sólheimasandur plane wreck. After capturing memories that will last a lifetime, the guide will lead you back to the base camp. Please note: A valid driver’s license is required to drive a quad bike. Single riders and groups with odd numbers are required to book a single ride ATV.